Nebraska volleyball coach John Cook addressed the media Monday morning after the Huskers' sweep of Iowa State on Sunday. 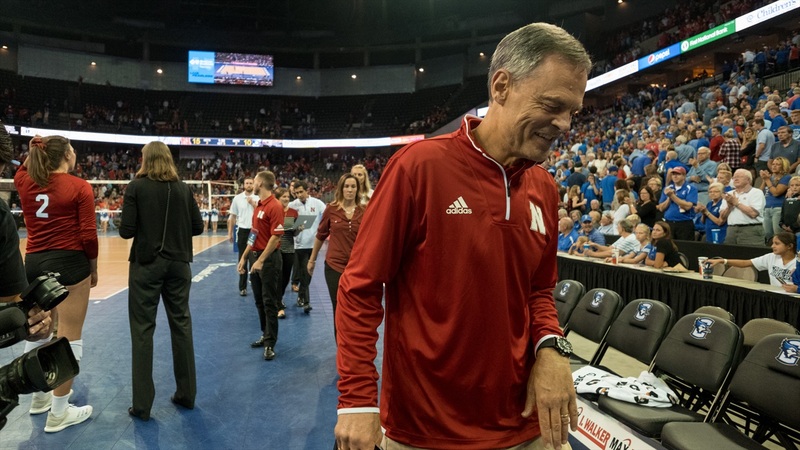 Cook spoke about Nebraska great Sarah Pavan, who was placed in the Nebraska Athletics Hall of Fame on Friday and whose jersey was raised to the rafters of the Devaney Center on Sunday afternoon. Seeing all of that take place was really special for Cook. "Seeing how much it meant to her and her family was really, really gratifying," Cook said. Cook also talked about the end of Nebraska's nonconference schedule, as well as what needs to be addressed by his team before conference play. As of now, Cook said he's busy studying his team and will work on evaluating opponents soon. It's also important that Nebraska doesn't overlook any opponents. "What I learned this weekend is that it doesn't matter who you're playing, you have to show up," Cook said. Nebraska will face Central Michigan, New Mexico and Missouri State this weekend in the Husker Invite to end nonconference play. Watch the full video of his question-and-answer session below. More from Cook to come on Hail Varsity.